Dr. Gloria Niles and the Ed Division representing at Malama Honua exhibits! 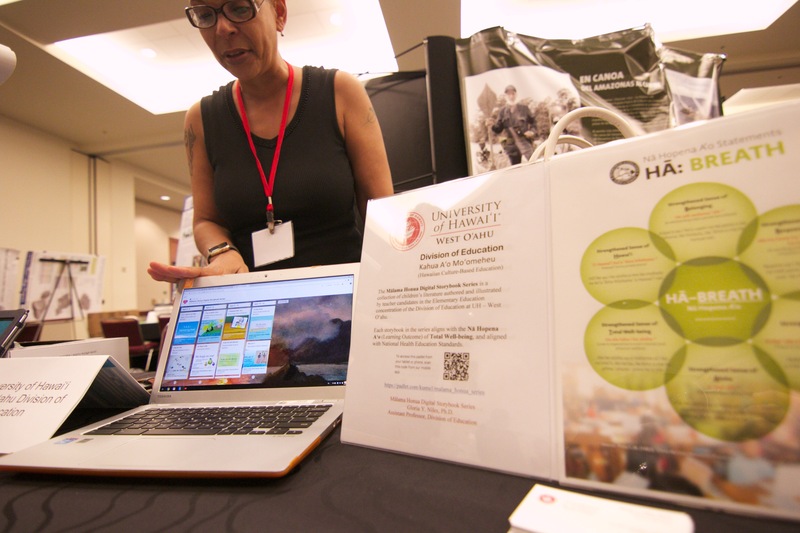 Health Literacy Digital Storybooks created by University of Hawaiʻi-West Oʻahu teacher candidates were on display as part of the Mālama Honua Fair and Summit, a three-day summit that highlighted the voyaging, cultural, environmental, educational and health and well-being missions of the Polynesian Worldwide Voyage, held June 18 – 20, 2017, at the Hawaiʻi Convention Center. Kahua Aʻo Moʻomeheu Nā Hopena Aʻo Digital Storybook Series are Hawaiian culture-based health literacy storybooks authored and illustrated by UH West Oʻahu students and spearheaded by Assistant Professor of Education Gloria Niles as part of her Health, Physical Education, & Movement course (EDEE 324). The project allows teacher candidates to be innovative and create relevant coursework, curriculum, and resources. Elementary Education student Gina-Marie Ramiscal said the project is “specific to physical health and wellness and incorporating Hawaiian culture.” Her storybook, “A Day on Maliaʻs Farm,” revolved around healthy eating and taking responsibility. “Itʻs overwhelming. Itʻs definitely awesome. I never thought my story would make it,” Ramiscal said. 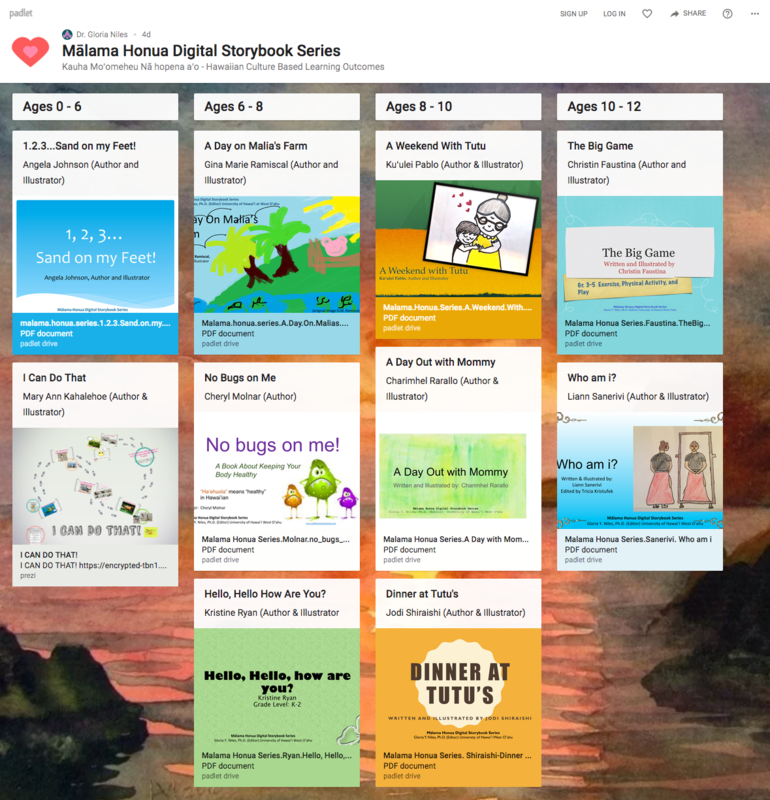 Each storybook aligns with the Hawaiʻi Dept. of Education’s Nā Hopena A‘o – The DOE’s framework to develop the skills, behaviors and dispositions that are reminiscent of Hawaiʻi’s unique context, and to honor the qualities and values of the indigenous language and culture of Hawaiʻi – and aligns with National Health Education Standards.